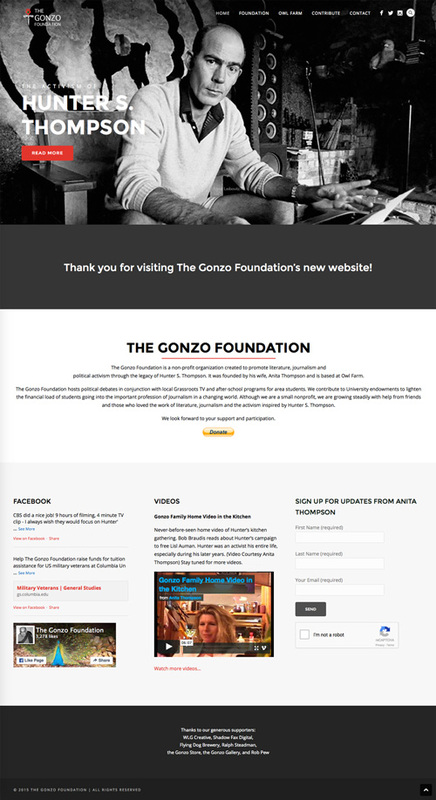 The Gonzo Foundation is a non-profit organization created to promote literature, journalism and political activism through the legacy of Hunter S. Thompson. It was founded by his wife, Anita Thompson, and is based at Owl Farm. © 2016-2019 WLG Creative, LLC All Rights Reserved.